AMAZING is a first-person maze game. You must collect all the objects in the maze and find your way out. 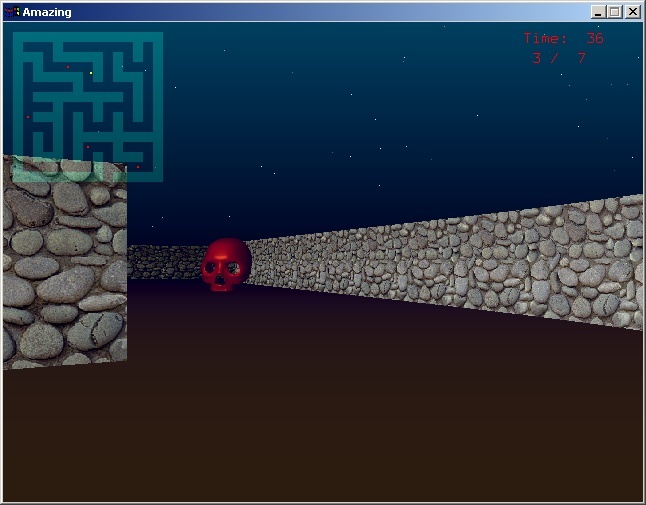 The wall textures and objects are customizable, and several skill levels are provided. Visit my TI-89 software page for a port of Amazing to the TI-89 graphing calculator!